Im piecing together the parts of the doll which im preforming in this spring. There are three separate places to take her. 'Danceathon 5oo', the 'Natimuk festival' 'The Village' Its an interesting project, and what i believe to represent cutting edge contemporary theatre! 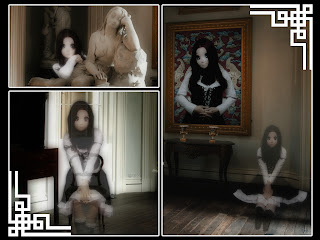 Refrencing Anime Cosplay, kigurumi, and Gothic sensibility and using Mime and Butoh I mix and play on a stage of performance art. This is a picture of a Kigurumi player at work. Im using the Theme song from the famous 60's horror 'Suspiria'.